WumDrop, a Cape Town start-up, has designs on becoming the Uber of courier services in South Africa, and it has set it sights on the broader African continent, too. Uber is the on-demand taxi service that uses a smartphone app to bring drivers and passengers together. 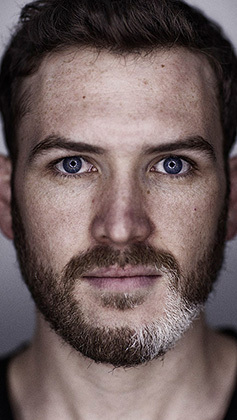 Co-founder of WumDrop Simon Hartley says the idea came about when he and his business partner, Roy Mathieu Borole, needed a reliable courier service for their first start-up, WumWum.com, which offers nappies and other baby items to parents in the Cape Town area. After some brainstorming, the pair decided that owning a fleet of vehicles was not the way to go. “Owning a fleet is a massive capital risk,” says Hartley. To solve this problem, WumDrop wants to create an on-demand courier service that will give senders access to couriers in real time and allow them to despatch their goods as soon as they want to send them. “Our delivery guys will be both freelance drivers and drivers that are part of an existing courier network,” explains Hartley. The company will not own any vehicles. Instead, it will pick up the excess capacity of drivers who are already offering delivery services for larger courier services and point them to leads generated from the WumDrop app, insodoing hoping to emulate Uber’s success in the taxi industry. Hartley says WumDrop will launch services with Monarch Tuksi, a Cape Town-based tuk-tuk service. The company has 20 tuk-tuk drivers who have already signed up with WumDrop. WumDrop wants its drivers to be the “Vida e Caffè baristas of the courier delivery world”, and will do so by conducting intensive driver training on how to provide good service to customers. Drivers will be paid on a revenue-share model, similar to that of Uber. WumDrop works on a 70/30 split, where the driver gets 70% of the revenue. WumDrop is working on smartphone apps for both drivers and customers. Once a customer loads the app and enters their credit card details, they will be able to set a pickup and drop-off point. Once a delivery request is made, the driver app will display a “delivery available” alert, which the driver can then accept (or ignore). In the beta-testing phase, consumers are charged R7/km the driver travels, with a minimum R35 levied if the distance travelled is less than 5km. WumDrop is working to ring-fence drivers so that pickups and drop-offs happen within the shortest time and distance possible. WumDrop plans to make available an application programming interface to e-commerce stores, allowing them to plug into any online shop, allowing customers to select WumDrop as their delivery method. 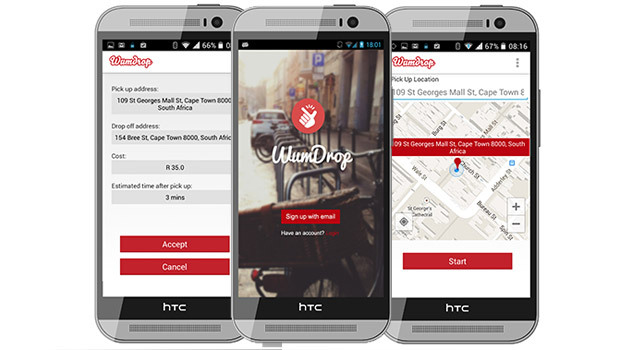 WumDrop intends launching services in Johannesburg before April. It wants to launch in its first city outside South Africa by the end of 2015. R7/km – won’t that result in extremely expensive deliveries? Granted, it isn’t same day delivery, but Takealot offers that too (R50). I’m guessing the idea is to use it for more localized services? Preach it! That will INDEED be expensive – too expensive. We’re launching in Cape Town, where 300 metres constitutes a whole suburb (adorable, hey?). When we expand to larger territories like Joburg, we’ll introduce zone rates to make higher distance drops feasible for you, and us. Good thinking. Shout if you have any other suggestions. This is exactly what is needed in East Africa – the boda boda dudes would be perfect for this model. Dont worry about Joburg – if you do Nairobi and Kampala with this – you will change the way ecommerce works in east africa. Where delivery is actually a big issue. I don’t get it, the objective is to eradicate bad experience for couriers, however they are using existing couriers. How does that eradicate the bad experience. Another good question. We rev-share with them. They agree to our standard of service – if they don’t meet it, they don’t get a slice of the pie. Carrot, meet stick. Stick, meet carrot. When are you coming to JoBurg? If you are cheaper with good service, we will be doing business! We’re aiming for April 2015 – we need to make sure we’re super sharp when we get to Jozi. You guys don’t hold punches. Would be awesome to get in touch when you guys have a national footprint. Working on an exciting new product that fits the mold 100%. How can I get in touch once you have launched?